What do I do if instead of Indian language text, I see boxes (as given below) or question marks ? 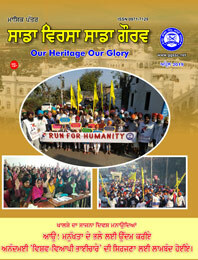 Indian language text is displayed but some words are not formed properly ? 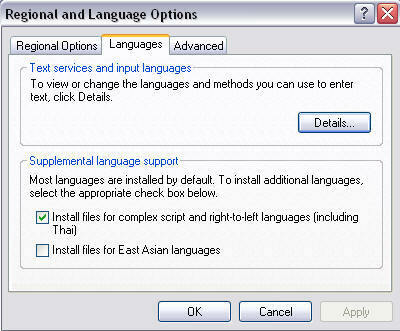 You should first enable/install the Indic (Windows Files for Indian Language Display). Note: In case you have an older version of Internet Explorer or Firefox update it to version mentioned above. 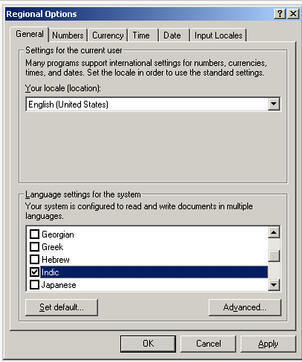 Go to Start->Settings->Control Panel->Date, Time, Language & Regional Options ->Regional & Language Options->Languages Tab-> (Tick the Install files for complex scripts...) and click OK.
You will require the Windows XP CD to enable Indic. Go to Start->Settings->Control Panel->Regional Options->Languages->Indic (tick the Indic) and click OK.
You will require the Windows 2000 CD to enable Indic.